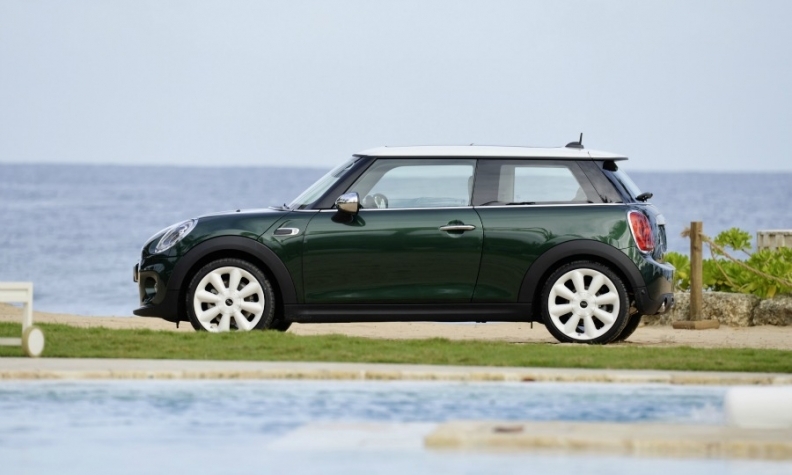 BMW said sales of the new three-door Mini rose 54 percent last month. FRANKFURT (Reuters) -- BMW Group said deliveries of BMW, Mini and Rolls-Royce cars rose 11 percent in October to 184,297, thanks to a robust rise in Chinese sales and a rebound in demand for the Mini following the introduction of a new model. The Mini achieved its best-ever October sales, boosted by a 54 percent jump in demand for the new core three-door model. Overall Mini sales jumped 13 percent to 28,834, BMW said in a statement today. Sales of BMW brand vehicles climbed 11 percent to 155,120 last month. Brand sales received a boost from the introduction of a new version of the X5 SUV, as well as strong demand for its 3- and 5-series models. BMW said it sold 1,985 i3 electric cars and 419 i8 plug-in hybrid sports cars last month. In China, group monthly sales were up 20 percent to 39,512, while U.S. sales rose 8 percent to 35,902. In Europe, volume was up 11 percent to 78,483. BMW reiterated today that it was on track to achieving a target of selling more than 2 million vehicles by the end of the year. In the first ten months, group sales rose 7 percent to 1.71 million, while BMW brand sales jumped 9 percent to 1.47 million. Through October, Mini sales fell 5 percent to 236,363.